BetOnline is the flagship of the Chico Poker Network. The site accepts US players. BetOnline is best known as a sportsbook. As that product grew, so did its poker site. BetOnline Poker is related to Sportsbetting.ag, which is also on Chico Poker. Our BetOnline Poker review will cover its safety, promotions and banking options available. This includes statements from players, descriptions of BetOnline Poker bonuses, VIP programs and tournaments. The first question players ask is if BetOnline Poker is safe. We can confidently say that BetOnline is legit. It is not rigged. Players can receive cashouts within a day through many methods, even in the US. The site’s sports betting director is on major TV and radio programs on a regular basis. The poker site has had no negative coverage since some growing pains back in 2011. Some BetOnline Poker players are unforgiving about its past mistakes. Those were years ago and many others are quick to defend what has since become one of the most reputable online gaming businesses in the world. There are some player complaints about poor support. All players agree that it is convenient to deposit at BetOnline and that payouts are about as fast as possible. Every poker site has its positives and negatives. That is why we have this section in our BetOnline Poker review. We’ll go over the positives first, followed by the negatives so you may have a better picture about BetOnline Poker. BetOnline offers some of the juiciest action available to the US poker players. The reason for this is likely related to its lack of VIP program or rakeback. Players will need to determine if this is a trade that they would like to make when deciding to play at BetOnline poker room. BetOnline proves that it is safe and legit by paying players quickly. Bitcoin and Litecoin withdrawals are free and processed in less than one day. The same can be said for ewallet withdrawals to players outside the US. Checks are delivered in about one week. BetOnline offers a 100% up to $2,500 first deposit bonus. It is the largest available to US players. 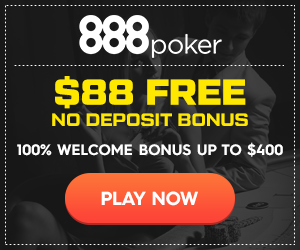 Even better is that it returns 33% BetOnline rakeback, which makes it clear faster than any other poker site that accepts American poker players. One drawback of BetOnline is that it charges a 6.5% fee on credit and debit card deposits. This is among the highest in the industry. Players outside the US will be required to pay $20 to withdraw by Neteller or Skrill. Many players outside the US feel that this is worth it due to the loose games. BetOnline’s software lags the market. It does not offer the same features as its competitors. It also has lag from time to time. Is Playing Poker at BetOnline Legal? Online poker at BetOnline.com is legal. The site is located outside the US. Some states, like Louisiana and Washington, have laws that make it illegal to gamble online. Nobody has ever been convicted under these laws. Players in these states will need to determine if the law applies to BetOnline Poker. BetOnline mobile poker launched in 2017. It is available in Android and iOS platforms. This covers virtually all mobile devices, including iPhones. The BetOnline poker app can be downloaded from its website. There is a link to each platform on that page. This way you can get to playing BetOnline Poker on mobile quickly. There is little in the way of game selection at BetOnline. The only poker games offered at BetOnline are Texas Hold’em, Omaha and Omaha Hi/Lo. Texas Hold’em is primarily no limit with a few fixed limit games. Nearly all of the Omaha and Omaha Hi/Lo games are pot limit. The BetOnline Poker download is easy to find on its site. Click on the poker section of the navigation menu. There will be a button to join. That is where the BetOnline download is. Players will find BetOnline Poker for Android, iPad and iPhone there, as well as Windows and Mac. New players receive a 100% up to $2,500 BetOnline welcome bonus. No bonus code is needed. The BetOnline deposit bonus clears at a rate of $5 for every $15 in contributed rake paid. This equals 33% BetOnline rakeback. Players have 40 days to clear the bonus. There are also BetOnline reload bonuses available a couple of times a year. Make sure to check the promotions page for the latest offers. BetOnline does not have a VIP program or rakeback. However, there are several BetOnline promotions beyond the first deposit bonus you should take advantage of when signing up to play. BetOnline offers a bad beat jackpot. This promotion is only available at labeled tables. The house takes $0.10 for every $4 in the pot up to $0.50 to fund the bad beat jackpot. A player must lose four of a kind jacks or better to trigger the bad beat jackpot. Both the winning and losing hand must use both hole cards. The player that loses the hand wins 27.5% of the jackpot. The winner of the hand gets 15%. The table share is 15%. Other players at bad beat jackpot tables receive 5% to split. The house takes 10%. The other 27.5% goes to reseed the next jackpot. BetOnline gives away $10,000 each week to cash game players. There are three separate races that are based on limits. Players receive three points towards the leaderboard for every 100 Points earned. The Weekly Cash Race does not rank players based on winning or losing, only on the level of play. New players making their first deposit will have access to the weekly $5,000 new player freeroll. The event is held on Sundays at 8pm ET. BetOnline Poker offers a wide variety of deposit and withdrawal options. BetOnline poker room deposits may be made through credit cards, debit cards, cryptocurrencies, cash transfer, bank wires and ewallets. The latter is only available in countries outside the US. Below you will find the most popular methods for making a deposit or a withdrawal. BetOnline Bitcoin deposits have become popular among serious players. It’s easy to move large amounts of money anonymously through this method. The minimum deposit is $20. The maximum is $25,000. Litecoin and Ethereum offer the same limits and works like Bitcoin. Visa and Mastercard are accepted by BetOnline for deposits. The limits are $50 to $5,000. US players can only use international prepaid debit cards. Players in other countries may use ban issued cards. The fee is 6.5%. Players must complete a credit card authorization form to request a withdrawal. Cash transfers are accepted via MoneyGram. The player must contact BetOnline’s cashier for the receiver’s name and location. The next step is to go to an agent’s office with cash or to MoneyGram’s website for a bank transfer, credit card or debit card. The minimum deposit is $100 through cash transfers. The maximum is $600. BetOnline cashouts are available through a variety of methods. These include cryptocurrencies, checks, and cash transfers. Ewallets are available to players outside the US. Below you will find various withdrawal options. Bitcoin, Litecoin and Ethereum are cryptocurrencies. All are available for BetOnline cashouts. There are no fees. The transactions are processed in about one day. The minimum withdrawal is $20. The maximum for Bitcoin and Litecoin is $10,000. Ethereum has a $25,000 maximum withdrawal amount. BetOnline withdrawals are processed by check upon request. The minimum withdrawal through this method is $500. The maximum is $2,500. The fee is $50. Money orders are available up to $9,000 with an $80 fee. Both arrive in about one week. Players may receive one free check per month. The BetOnline cashout request must be made on a Friday to qualify. Bank wires are processed in amounts from $500 to $24,900. These arrive in a bank account is two to three weeks. The fee depends on the size of the transaction but tend to be over $100. There are also fees charged by the receiving bank, and if there is one, an intermediary bank. There is no BetOnline rakeback. The only equivalents are the 100% up to $2,500 first deposit bonus and the ability to trade POP Points for tournament entries. The lack of rakeback is thought to be one of the reasons why the poker games at BetOnline are soft. BetOnline is better known for its cash games. However, there are still tournaments that run 24 hours a day. The largest guaranteed tournaments run on Sunday. The largest weekly BetOnline poker tournament is the $100,000 guaranteed. It is held on the last Sunday of every month at 7pm ET. The buy-in is $109. There are step tournaments that start at free for Step 1. The direct satellite is a $20 tournament that runs several times each day. There is a daily $33 tournament with three guaranteed seats. The weekend also sees $4.40, $16.50 and $44 satellites. The weekend slate includes $130,000 in tournament guarantees. The main event is a $50,000 guaranteed tournament. It has a $90+9 buy-in. Satellites run all week. There are super satellites on the day of the event. The $50,000 guaranteed starts at 7pm ET. There are eight other tournaments that run over the weekend that total $80,000 in guarantees. It ends at 10pm ET on Sunday with a $22 turbo. The BetOnline network is Chico. It is the third largest that accepts US players, according to PokerScout. The platform was once known as Action Poker. It is sometimes referred to as Tiger Gaming by players outside the US. BetOnline is one of two US skins on Chico Poker. The other is Sportsbetting.ag. What network is BetOnline Poker on? BetOnline Poker is on the Chico Poker Network. This network was once known as Action Poker. Does BetOnline accept U.S. players? Yes, BetOnline accepts American players. Which Chico Poker skins accepts US players? BetOnline Poker and Sportsbetting.ag are the only two skins on Chico Poker that accept US players. What other skins are on the Chico Poker Network? Other Chico Poker skins include Sportsbetting.ag, Action Poker, Tiger Gaming and Poker in Canada. What states are banned at BetOnline? All states are accepted at BetOnline. How do U.S. players deposit at BetOnline? BetOnline accepts Visa, Mastercard, Bitcoin, Litecoin, Ethereum and cash transfers from U.S. players for deposit. How do players outside the U.S. deposit at BetOnline? In addition to the options available to U.S. players, those outside the U.S. may also deposit using Neteller and Skrill. How do U.S. players withdraw from BetOnline? BetOnline pays U.S. withdrawal requests by check, cash transfer, Bitcoin, Litecoin and Ethereum. Checks may be processed as money orders. These take 1-2 weeks to arrive. There is a $50 fee and the maximum withdrawal amount is $2,500. Bitcoin and Litecoin is available in amounts up to $10,000. Ethereum has a withdrawal cap of $25,000. There are no fees. Cash transfers are available in amounts up to $1,000. The fee is 10-15% of the transaction. BetOnline offers Americans a $50 discount off a withdrawal fee one time each month. The withdrawal must be requested on a Friday to qualify. How do players outside the U.S. withdraw from BetOnline? Players outside the U.S. can receive Bitcoin withdrawals on the same terms as U.S. players, as well as cashouts by Neteller and Skrill. The fee for ewallet withdrawals is $20. This fee is waived one time each month if the cashout is requested on a Friday. What is the first deposit bonus at BetOnline? New players receive a 100% up to $1,000 first deposit bonus. It releases in five increments and expires after 60 days. Does BetOnline offer reload bonuses? BetOnline offers a reload bonus a couple of times a year. What games are available at BetOnline Poker? Texas Hold’em, Omaha and Omaha High/Low are available at BetOnline. There is no rakeback at BetOnline. There is also no VIP program. BetOnline is located in Panama where gaming businesses are not licensed. Does BetOnline offer a Mac platform? Yes, BetOnline has a Mac platform. Are there any BetOnline Poker table mods? There are no table mods compatible with BetOnline. Does tracking software work at BetOnline? Hold’em Indicator is the only tracking software that works at BetOnline. It also has a HUD. PokerTracker and Hold’em Manager are not compatible. How do I contact BetOnline support? Poker inquiries can be emailed to [email protected] BetOnline’s phone number is 888-426-3661.